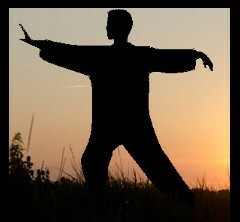 Our TAI CHI program not only provides defense techniques, but also has positive effects on the mind and body. Through the study of Tai Chi, an internal style of martial arts, a student can learn to relax his/her body, reduce stress, control breathing, increase flexibility and strengthen the body. Tai Chi has a slower pace, and is lower impact than most other martial arts, but can be applied in the same situations by simply performing the techniques at a more appropriate speed. Beginning students learn the Yang style of Tai Chi. More advanced students learn Tai Chi weapon forms and pushing hands, a form of sparring where competitors use their opponents momentum against them causing balance loss. Our students are taught the Yang style movements and are not just following a leader as is often the case in other Tai Chi programs. 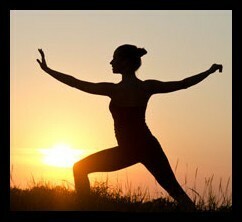 This is so that Tai Chi can then be performed daily at home and which will help to develop increased health benefits. Anyone, including Senior citizens and those with limited range of motion can enjoy a therapeutic effect through the practice of this art unmatched by any other form of exercise. This program is designed to bring you the physical, mental and emotional well being that is so often missing in adult life today. Through the movements and techniques of Kung Fu we learn in fun and exciting ways. Each class is approximately 60 minutes long and designed to give you the gifts of better health, increased confidence, greater focus, and good sportsmanship. Keys to success that you'll see reflected not only in the training area but all areas of your life. Twin Dragon is the Only school in the Region that Teaches real Authentic and Traditional Kung Fu. These classes are for people who want to improve themselves physically and mentally, while learning Effective Self-Defense. All classes are conducted in a safe, controlled and enjoyable environment utilizing age appropriate techniques to instill logical thinking, health and fitness. Whether you're seeking a fun and exciting activity for your family, or a truly electrifying self-improvement experience; our school features classes for students of every age! At Twin Dragon our Teachers have undergone vast amounts of training to prepare them to teach you in the very best way possible. Not only are we highly skilled in the Martial Arts, but we are also Teachers licensed by the state of NH. Sifu has been teaching Martial Arts for 22+ years, and has 10 years experience as a public school teacher. 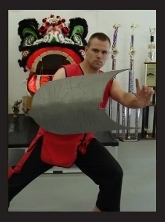 Simo has been assisting Sifu for 18 years, and has 8 years experience in the public school. That combined with the experiences we have as professional Martial Artists, allows us to offer training that is second to None. at Twin Dragon Kung Fu.